Home Collaboration SoftwareMonetizing ISP Email – How ISPs can transform subscriber email from a resource sap into cash cow. 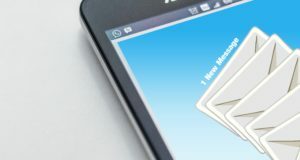 As an Internet Service Provider, offering subscribers free personal email has become a personal nightmare, requiring too much overhead for no return. Setting up even a simple in-house email server requires a full time hire to oversee the implementation, maintenance, upgrades, spam and hotfixes, etc. What returns do you see for all that work? Not a penny. Email service is an expected feature not an enterprise upsell, good luck undercutting free. Managing an in-house server is a recipe for disaster, one quick outage on your end means hundreds of angry suits and ties knocking at your door. Offloading the pressure to cloud servers is a great next best option – it keeps everything chugging along safely, and for a low price. No more cranking away at the email servers at ungodly hours to fix yet another new disaster. As ISPs venture into offering cloud services on top of core connectivity offerings, cloud collaboration software offers a great option. The collaboration software market is the fastest growing type of cloud based software, and in 2016 stood at nearly $5 billion, and is projected by 2022 to reach almost $10 billion at a compound annual growth rate of 10% (TechSci). Collaborative software spans intranets, group document sharing, communication and scheduling systems and more. Internet service providers already offer internet connectivity services to local businesses, you are already on the front step of your target audience. And not only are you on the front step, you’re their trusty neighbor with a cup of sugar, serving as their IT consultant and tech gateway to the software hemisphere. They come to you with the question – “what’s this collaboration thing everyone is talking about?”. Your answer should be – “We can offer you the collaboration services you are looking for”. As a provider, you’re in the position to bundle collaborative software with your standard business services as an enterprise package for connectivity services (for example get 100 free cloud collaboration accounts with your annual lease line plan, with a charge for more). According to a study by Analysys Mason bundling drives customer retention. Customers who are a part of a bundle are less likely to change providers than those with no package. Making this happen is actually a lot simpler than you would imagine. For example, HyperOffice offers Email Plus, a cloud based system allowing ISPs to offer email services to their subscribers. However, HyperOffice also allows you to offer cloud collaboration services on top of email. If someone is already using your personal email, you just flick a switch, and next time they log in, their system is now a rich collaboration suite for their business team. Only now, they are paying you (and happily). Given HyperOffice’s modularity, you can mix and match the available features, and create any number of plans you think you can sell – document collaboration, project management, intranets etc. The takeaway – When pitching to customers, residential and business alike, don’t think of your email service as an obligation. Email is a foot in the door, and if you treat them right, customers will invest in you rather than turning to an unknown third party. Next Post I Am An ISP (Internet Service Provider). What Does The “Cloud” Have To Do With Me?